STAR WARS: DARTH VADER #19 Written by Charles Soule Art by Giuseppe Camuncoli, Daniele Orlandini, David Curiel, Joe Caramagna Edited by Tom Groneman, Mark Paniccia Published by Marvel Comics Release Date: August 8, 2018 “FORTRESS VADER” BEGINS! A JEDI makes a desperate deal. THE INQUISITORS’ mission evolves. DARTH VADER discovers a theft. 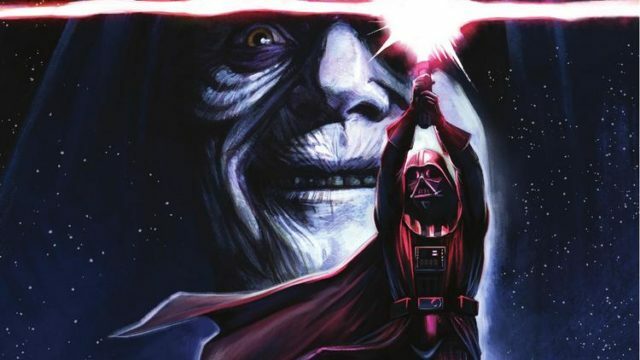 STAR WARS: DARTH VADER #4 Written by Charles Soule Art by Giuseppe Camuncoli, Cam Smith, David Curiel, and Joe Caramagna Published by Marvel Comics Release Date: August 2, 2017 Vader’s first mission isn’t going well. The dark side is the way of power. But no one said it would be easy.